Teyana Taylor has released the video for her K.T.S.E. 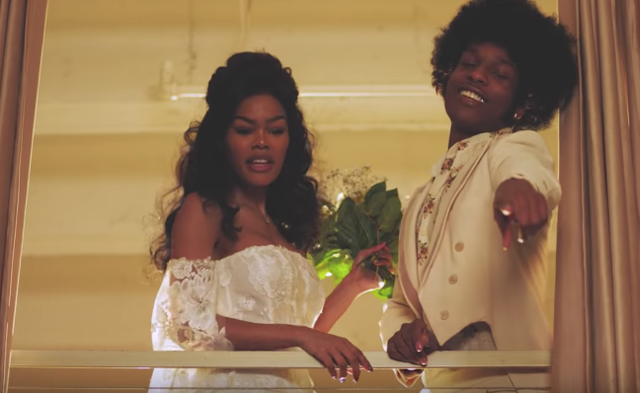 song “Issues/Hold On.” Though he wasn’t featured on the initial track, A$AP Rocky makes an appearance in the ’70s-themed video, where he plays the vocalist’s Afro-wearing, bellbottom-clad lover. The Taylor-directed video also features cameos from Tyler the Creator, A$AP Ferg, Lori Harvey, and Kristen Crawley. Taylor’s latest solo album K.T.S.E. was released in June following a string of releases executive-produced by Kanye West including Pusha T’s Daytona, Nas’ Nasir, West’s collaboration with Kid Cudi as Kids See Ghosts, as well his solo album ye. Earlier this year, Taylor released the video for her K.T.S.E. track “WTP,” which followed the video for the Wu-Tang Clan remix of her album track “Gonna Love Me.” Watch her new video for “Issues/Hold On” below.